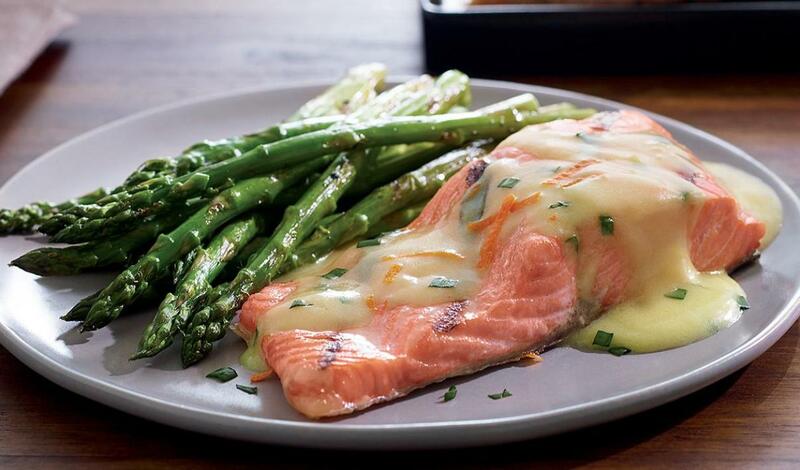 Add a kick to your salmon dish with a sauce made from orange juice concentrate, ginger and chives. Pair it with grilled tomato and rosemary flatbread. In a saucepan, combine the prepared Knorr Hollandaise Sauce Mix, orange juice concentrate, ginger and chives and cook over medium heat for 2-3 minutes to allow flavors to marry. Ladle prepared Orange and Ginger Hollandaise sauce over salmon.